eScope, our Through the Lens (TTL) loupes are made with precision to align to a user's facial features, in order to offer extraordinary visual clarity throughout the entire viewing field, while also providing excellent field width and depth. 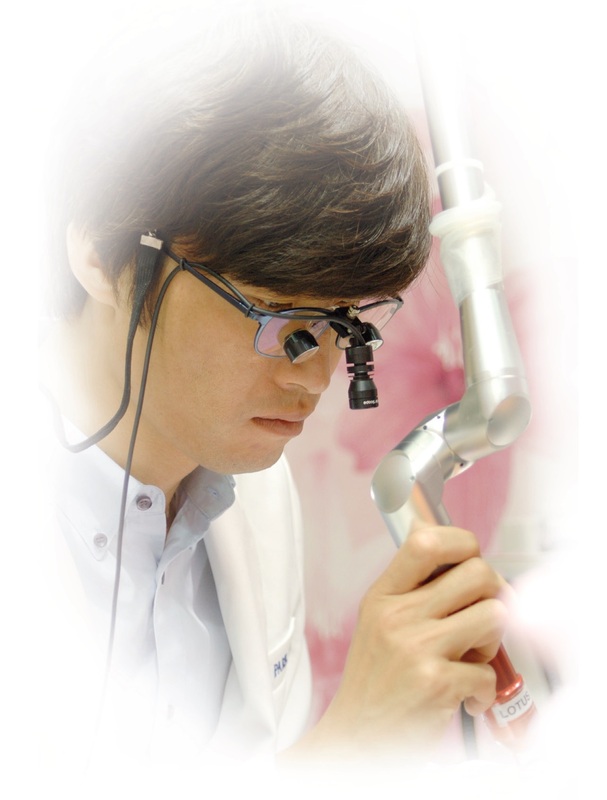 Every eScope is customized to the individual user and hadcrafted in Korea with a dedication to quality craftmanship. We measure and collect critical facial features and data that affect the individual fit and position of the loupes. We analyze the facial data and custom fit the loupes to be consistent with the user's line of sight and working distance. The final height and angle of the loupes are unique and custom as the face of each user. We ensure proper focus and collimation, the individually designed loupe system is fabricated so the user can enjoy the most ergonomic angle without compromising line of sight. ***Frames are available in different design and color. 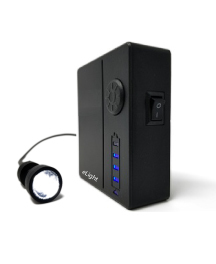 eLight, our LED Headlight offers one of the brightest pure white LED beam with lightweight design, and equipped with super long lasting power battery that allows you to perform your procedures more efficiently and smoothly.